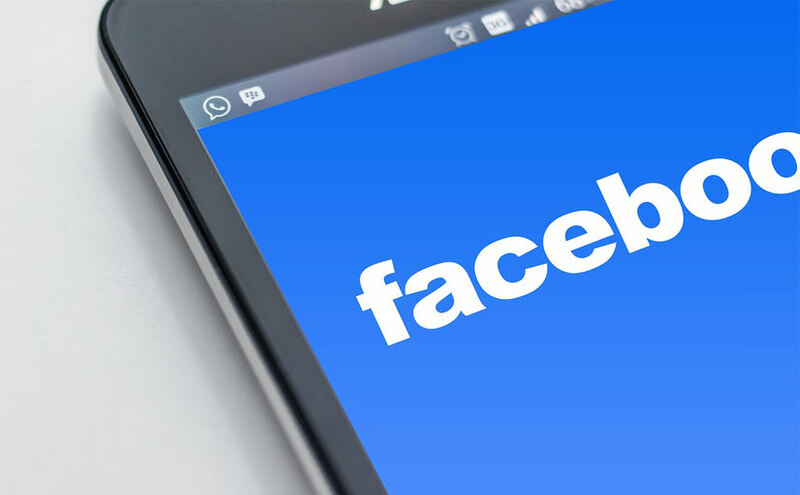 Facebook is the fastest growing social networking site, with over one billion active subscribers, diverse market niche, widest global reach and the highest number of subscriptions every month. Facebook, sits next to Google and maps marketing when it comes to reach and usage but stands on a different media, social networking. However, Mark Zuckerberg, the founder and developer of Facebook, already announced their next big move search engine. Yes! In case you haven’t heard the news, (which was mentioned awhile ago) Facebook is now on the move to develop a new way to encourage their subscribers to stick with them closer, and that is by making the site a search engine itself. Now you can search content or images, places, news and posts through Facebook. No, you don’t need to Google things up when you can just search them, inside the Facebook app itself. If you’ve been doubting on whether to invest on social media marketing more than your organic search rankings on Google, then this article is going to help you make an informed decision about what you should do next. Google is known for having keyword-based research, which means that in order for people to get better search results, they should type keywords based on the order of importance and should omit words that can be removed from the search bar. Google, somehow made searchers feel inhibited to write more words, as the results are targeted on keyword related results. Google had already developed a new algorithm update, Hummingbird, to answer this prominent concern among end users and web developers. In relation to that, Google keyword planners are now able to suggest conversational searches like, “who is the best at Google maps marketing,” something that a person would ask rather than search “best + Google maps + marketing” which can mean another thing. However you put it, conversational searches is the new trend among end users and has been the challenge for web developers and search engines. Google is undisputedly still the best and the most sophisticated search engine out there, your Google first page results are far better than your Bing or Yahoo search results because Google can automatically detect your time zone and location, which helps give you better search results (the best thing about Google Maps marketing). However, Zuckerberg, promised Facebook users that their 10-year plan with it will change the way they search on the web forever. Zuckerberg and his team are already working on developing an AI, (better than anyone else and Google of course) that would give direct answers to searches that are written as questions. In addition, since the Facebook community is dominated by mobile users, they are also seeing promising voice or speech detection AI, that would make the search experience better for everyone. As the searches are commonly done on mobile devices, the race in creating speech detection and transcription AI are the greatest things for search engines all over the web, and of course, Apple already has Siri running for them. Facebook searches can be very diverse, and since it is a peer-to-peer kind of information and search results are based on people’s experiences, its potential to become a search engine is limitless. As projected, Facebook searches can be about people and their friends, but later on, it can be about places, services, and experiences- things Google does for you right now. Wider Reach. If you prioritize wider reach, Facebook can get you the numbers rolling. As mentioned, Facebook is extremely massive, wide and diverse. If you are planning to advertise, you can target your reach based on demographics, a very specific approach. It’s smart. They know people’s behavior. They know just who it is to connect you to. Facebook advertising also has its own way of making your ad reach the right people, because they know exactly what people likes, simply from their own database of likes and shares. You don’t fight for the first page. If you are going to compare the way Facebook and Google works, your chances at Google’s first page is slim thick- it is a difficult way up. You have to push through several other sites, compete with thousands of sites on your niche and invest on your blog or site for a long time to become an “authority” or trusted site. Content isn’t as demanding. Apart from that Google asks you to invest in content, as it is one way for them to rank you better. They always look for fresh content when ranking websites. But if that’s what they require for a startup, that is way too much time, too much effort and financial investment- and it can’t guarantee an immediate return. Even if you are creative than those who stayed in the web for a longer time, you won’t get as much visibility. Infinite news feed page. Facebook works differently, though, because the user’s newsfeed doesn’t have a page one, two or even ten thousand. It is simply a never ending scroll down to the bottom until they get tired scrolling down. This means that even if you are at the ten thousandth spot, you will have a chance to become visible. Your creativity will shine. They don’t have to search you manually because you will appear on their newsfeed anyway. Your chances of getting your page “liked” are endless. It’s not a do or die for you to become the first one to be seen because people can like as many pages as they can and view their resources and content simultaneously! Talk about visibility! As long as you know how to stand out, (which is everyone’s innate nature) you are going to get those conversions you have always been dreaming of. Solicited Reviews are visible for everyone to see. With Facebook, your solicited reviews are not solely seen by the people who already liked your page, they can be seen by their friends, close and common friends who are showing to have similar behaviors like them. Better chances of visibility. Facebook already has “Your friends and 10 thousand others liked…” it is almost impossible for your visibility ads not to be noticed. You can be viral. Your content can be viral on Facebook simply because it is easy for people to spread the word, “Share.” If you have observed, when you search something on Google about viral videos or pictures, you would sometimes see Facebook or Youtube in the search results. You can connect in many ways. You can also live stream on Facebook, which of course is not possible on Google. Google is simply just a search engine, but not a streaming site, although it had acquired Youtube for that matter. Messenger For Your Biz. You can be directly contacted by prospective customers via Facebook’s messaging app Messenger. They don’t have to call you or email you and they won’t feel like they will have to compete for your attention because Messenger shows real time information if you have “seen” their messages or not. Think how your customer service can improve! This is going to make your customers have better experiences and memories with your company. Nearby Places. If you are driving for in-store traffic, you can take advantage of Facebook’s Nearby Places feature. You can experiment how this feature works and how you can stand out from all other establishments in your area that you consider a competition. If you haven’t been investing time on improving your social media marketing game, now is the time to get things started. If you ever have some regret on why you didn’t act out early when Google boomed, now is the time to experiment with Facebook. If you know the ins and outs of its search engine, you will be able to adapt the chances in the future and your marketing plan will be agile and flexible enough to adjust to market behavior and the search engine algorithm updates itself. Patrick Panuncillon is a digital marketing leader, innovator, white hat SEO practitioner and CEO of Linkvista Digital Inc. He and his team of specialists help their global partners up their marketing game and increase their online visibility through extensive SEO techniques.